Maryam Hamad, from the West Bank village of Silwad, is pictured with the Israeli Ofra settlement in the background. She is one of the landowners on whose land the nearby Amona outpost was built. According to an Israeli high court decision, the settlers must evacuate this month. Christmas Day is the court-ordered deadline to evacuate around 330 settlers from the Amona outpost. The colony is built on the farmland of Palestinian families who still live nearby, north of Ramallah in the occupied West Bank. Eighty-year-old Maryam Hamad, who lives in the neighboring Palestinian village of Silwad, owns six acres there, where she once cultivated wheat. She has not been able to visit her land for 20 years, since Amona was established in the mid-1990s. She expects to return to the land when the settlers leave. If the evacuation is implemented, Palestinian are at risk of revenge attacks by settlers. After first refusing to peacefully evacuate, the settlers of Amona only conceded when Prime Minister Benjamin Netanyahu posted a video on Facebook promising them to crack down on what he calls illegal building in Palestinian neighborhoods in present-day Israel. The government is preparing a $36 million budget to evacuate the outpost and generously compensate the settlers for the move. Anti-settlement group Peace Now reports each family in Amona will receive approximately $260,000. But Amona – one of around 100 so-called unauthorized outposts – looks like it will be the exception. The Israeli government is now pushing through the so-called Regulation Bill, legislation that will retroactively legalize all Israeli outposts built on privately owned Palestinian land. But even the 41 families of Amona won’t go far: the Israeli government has offered them a new allotment of land, still in the occupied West Bank, that is also owned by Palestinian families. Israel’s Regulation Bill has been greeted with condemnatory statements from the United Nations, the European Union and Israeli politicians from the so-called opposition parties. They all warn the bill sounds the death knell for the two-state solution. But these apocalyptic pronouncements overshadow the government’s years-long process of ushering the outposts into the folds of Israeli legitimacy. Beginning in the mid-1990s, following the signing of the Oslo accords, Israel stopped officially establishing new settlements, but began funding and supporting settler groups who colonized West Bank hilltops under the pretext of expanding existing settlements. Though these “outposts” were portrayed as rogue, the Israeli government was essential to their survival. The legal status of “unauthorized outposts” and “settlements” has no distinction outside Israel: all Israel’s settlements in the West Bank are illegal under international law. In 2005, the government commissioned former state prosecutor Talia Sasson to investigate the outposts. Sasson found that at least 105 outposts had been established “in blatant violation of the law” and documented how government officials in the housing, defense and other ministries helped to establish them. The Israeli government did not just provide material support to these outposts, it also began to defend their legality. This August, before Israel’s governing coalition introduced the Regulation Bill, The New York Times revealed that one-third of the outposts had already been retroactively legalized or were on their way. “Netanyahu’s government in 2011 had already quietly introduced what it called a new ‘combined policy,’” The New York Times reports. According to Peace Now, the vast majority of the outposts are built on privately owned Palestinian land. This policy was quietly announced through state responses to anti-settlement petitions in the courts. In fact, settlers have credited anti-settlement lawsuits with pushing the government to commit to supporting the outposts. But except for a few high-profile cases, the government left most outposts on private land alone, and in the case of Amona, defended their right to remain. Two years ago the Israeli government lost its final battle in the high court to keep Amona settlers on Palestinians’ land. The high court ruled that settlements could not be founded on private Palestinian land and gave the settlers two years to relocate. In prior cases, the court has ruled [PDF] that Israeli settlements can be built on “state land.” The distinction between state and private land – like the distinction between outposts and settlements – is an invention of Israeli law to enable the colonization of the West Bank. The government’s defeat in the Amona case in 2014 may have disappointed the Israeli government, but it did not derail a process it had begun several years before: to retroactively legalize scores of outposts throughout the West Bank. The court defeat may even have helped the Regulation Bill by mobilizing the parliament against the judiciary. 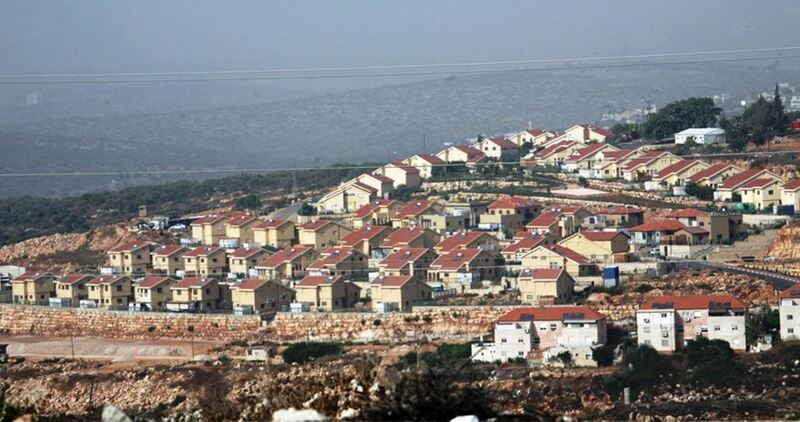 On 14 November, a day after the high court rejected the government’s request to postpone the Amona evacuation, ministers unanimously approved the bill. Peace Now does not believe the timing was a coincidence. The bill must still pass three more readings in Israel’s parliament, and Israel’s attorney general says it breaches international law and he would not be able to defend it in the high court. The government announced the final readings would not take place until after US President-elect Donald Trump is inaugurated in late January. But with or without the bill, there will likely be no let up to Palestinians being forced off their land and terrorized by the settlers and the army that protects them. 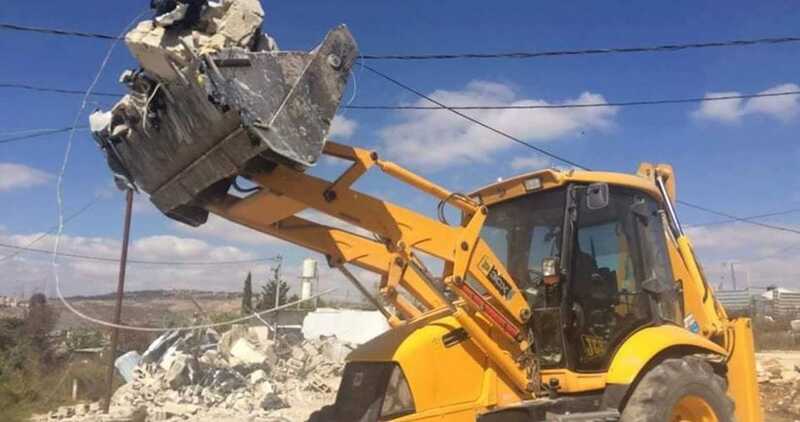 The Israeli bulldozers demolished on Monday a commercial facility in the French Hill area in occupied Jerusalem despite being licensed. Hesham Harhash, one of the owners of Harhash car exhibition that was razed, said that a crew from the Israeli municipality accompanied by special military forces and bulldozers stormed into the exhibition owned by his family and destroyed it. Harhash told the Quds Press news agency that the exhibition's area is about one dunum, adding that it was built in 2006 and the family was able to get a permit in 2008. The Palestinian lawyer Mohannad Jbara said that the Israeli municipality has been trying since 2012 to seize the land of the exhibition to construct a bus station for the Israeli settlers who come to visit the neighboring "French Hill" park. 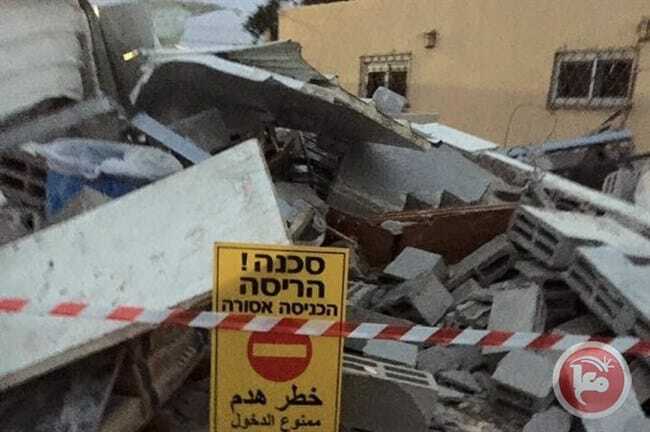 Jbara added that the Israeli municipality has lost the case in all courts, and when they came today, they did not possess a new demolition order but an order issued in 2013 to demolish a part of the exhibition (which was implemented at the time). Jbara said that Israel follows a new policy which involves implementing the demolition orders in the early morning hours so as to thwart any attempt to stop the demolition. Since the beginning of this year, the Israeli occupation authorities demolished more than 866 residential and commercial buildings in Jerusalem and the West Bank under the pretext of building without a permit. The demolition operations left 1,221 Palestinians homeless, half of whom are children. The demolition operations have massively increased in Jerusalem and its environs this year reaching more than 230 demolition operations. The Israeli occupation authorities (IOA) said that around 120 dunums of Palestinian lands in Silwad town to the east of Ramallah city in the central West Bank will be confiscated and allocated for the settlers evacuated from Amona outpost. 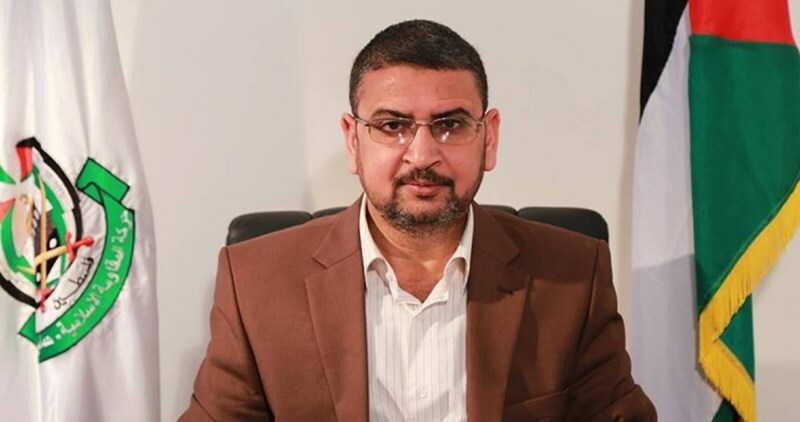 The mayor of Silwad, Abdulrahman Saleh, said that the IOA notified the village’s municipality of the confiscation of the lands owned by Palestinian citizens who have official documents proving that. The Quds Press news agency said that Saleh warned on Monday of an Israeli scheme to relocate Amona settlers in Silwad. 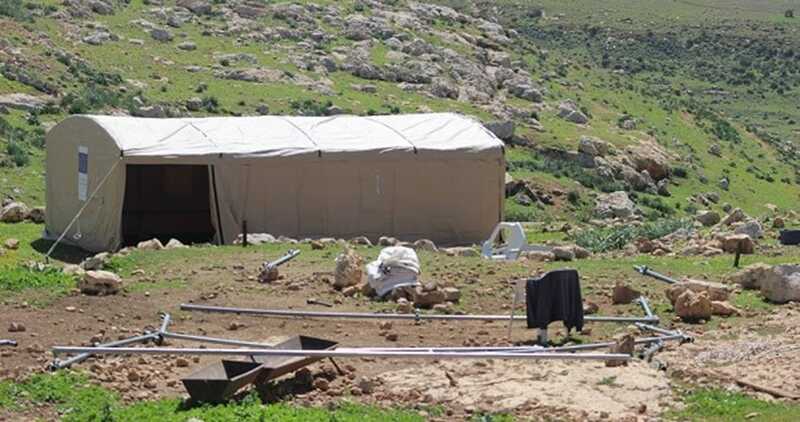 The municipality of Silwad filed an objection against the measure with an Israeli court. He pointed out that the inhabitants of Silwad previously foiled two Israeli schemes to seize lands in the town after proving their ownership of the lands and that they are not state or absentee lands. However, the mayor said that there are great concerns about the relocation of Amona settlers and their caravans to the confiscated lands, especially that the court's ruling may take months or years to be issued. 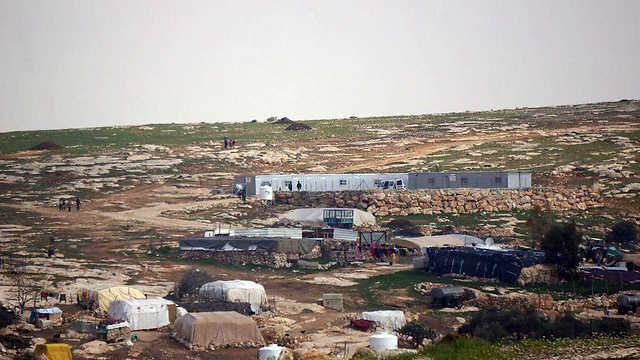 Amona outpost, built on a private Palestinian land to the northeast of Ramallah city, is inhabited by 40 Jewish families and considered an illegal settlement according to the international and Israeli laws. Amona issue has ranked at the top of the Israeli government's agenda in the recent weeks, due to which many internal conflicts have emerged trying to find a solution that prevents the evacuation of the outpost. These conflicts led minister of education Naftali Bennett and his party "The Jewish Home" to abstain from supporting draft laws presented by the government. Yedioth Ahronoth Hebrew newspaper said that 45 settlers from Amona outpost agreed on a compromise solution formula proposed by the Israeli government while 29 settlers opposed it. According to this proposal every family who lived in the settlement before 25th December 2014 will be given one million shekels as compensation. At the request of Israeli premier Benjamin Netanyahu, the Israeli municipal and security authorities intend to demolish 42 Palestinian homes soon in Occupied Jerusalem and Palestinian towns in Israel. According to a Hebrew website close to the Israeli army, dozens of Palestinian homes as well as different structures would be razed in Israel, Jerusalem and the Negev as part of a plan launched recently by the Israeli government to remove buildings labeled as illegal. It is noteworthy that these Palestinian homes and buildings which Israel classifies as illegal have been built on Palestinian-owned plots of land, but the Israeli authorities make it hard or impossible for their owners to obtain construction permits in order to justify their demolition later. Initially, the Israeli authorities said it would demolish seven Palestinian buildings and homes next Tuesday and Wednesday and 35 others later. The Israeli police, for their part, said they notified Palestinian owners of two homes in Wadi Ara town northwest of Haifa district of orders to demolish them, claiming they were constructed illegally. Last Thursday, the Israeli municipality also threatened to knock down homes belonging to five Palestinian families in Issawiya district, east Jerusalem. Israel already practices a systematic demolition policy against Palestinian homes in Israel and all occupied areas, but Netanyahu decided recently to escalate this policy after Palestinian landowners managed to extract an Israeli court verdict ordering the evacuation of Jewish settlers from Amona outpost, which was established illegally with help from the Israeli government on privately owned land in the West Bank. Netanyahu, who seeks to vent his anger by demolishing Palestinian homes, affirmed, during a recent meeting with senior security officials, including internal security minister Gilad Erdan and general commissioner of the police Roni Alsheikh, the need to enforce the law equally between Jews and Palestinians. For his part, head of the Joint List (Arab parties) Ayman Odeh accused Netanyahu of trying to punish the Arab population in Israel and make them pay for the expected evacuation of Amona outpost. This development came after the Israeli high court of justice rejected a new request filed by the government to delay the evacuation of the illegal outpost of Amona on December 25. All Israeli settlements and outposts in the West Bank, including annexed east Jerusalem, are illegal under international law. Israeli army patrols at dawn Sunday stormed eastern areas in Nablus province and combed Palestinian lands. According to eyewitnesses, four Israeli army patrols rolled into Kafr Kalil, Balata camp, and Sahl Rujeeb in Nablus at 2 a.m., before they retreated to the Hawara military camp. Sounds of stun grenades had been heard in the area all the way through the assault. Overnight, Israel’s so-called environment protection troops scoured Khirbet Tana, to the east of Beit Furik, in eastern Nablus, without prior notifications. Beit Furik farmers said the occupation patrols raked through Palestinian farms and ranches as they allegedly rummaged around for new agricultural structures. The national bureau for defending the land and resisting settlement expansion has warned of the gravity of the green light policy that is pursued by Israeli premier Benjamin Netanyahu regarding the demolition of Palestinian homes. In a report released on Saturday, the national bureau stated that Netanyahu gave a green light for the Israeli authorities to demolish more Palestinian homes in towns and villages in Israel, the West Bank and Jerusalem. Netanyahu’s widespread demolition campaign against Palestinian homes has been launched in reaction to an Israeli court ordering the Jewish settlers of Amona outpost who live illegally on a tract of privately owned Palestinian land in the West Bank to leave the area soon, according to the report. The report also pointed to recent remarks made by the Israeli transportation minister calling for expanding the borders of Occupied Jerusalem to include settlements surrounding it. The bureau appealed to the international community and the UN Security Council to deal responsibly with these Israeli steps and calls, in order to salvage the two-state solution and to force Israel to abide by the international law and stop its settlement activities in the Palestinian territories. The Israeli Prime Minister Benjamin Netanyahu has pushed for the demolition of allegedly illegal Palestinian homes in 1948 Occupied Palestine and East Jerusalem. The decision was issued following a meeting with Public Security Minister Gilad Erdan and Police Commissioner Roni Alsheikh. Head of the Joint List, MK Ayman Odeh, said all Netanyahu knows is incitement and hate, wondering how dare he say there won't be a double standard, and compare the Israeli settlers, who stole Palestinian private lands, to the Arab citizens of Israel (1948 Occupied Palestine). He added that the Israeli occupation government has tried every possible endeavor to legalize the status of 40 Israeli families who stole 40 Palestinian private lands while 40 Palestinian villages have gone unrecognized by the Israeli authorities in Negev. He vowed that the Palestinians will stand their ground against such racist Israeli attempts to crack down on the Palestinian citizens as part of Israelis’ intents to avenge themselves over the evacuation of the Amona illegal outpost. 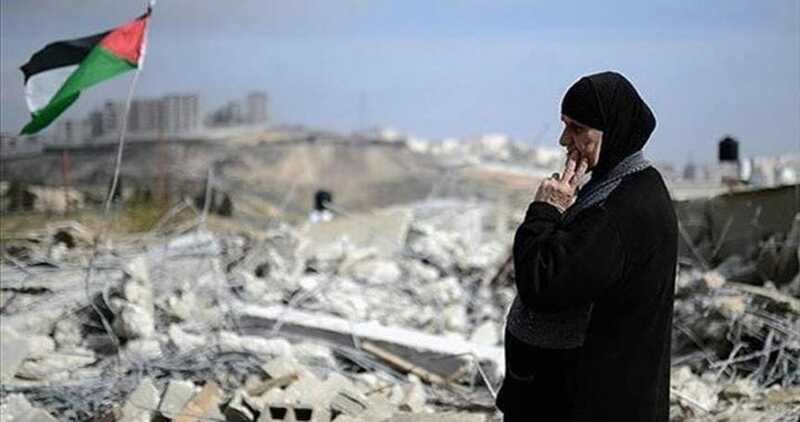 An Israeli scheme to demolish dozens of Palestinian houses in the territories occupied in 1948 next week was revealed by Hebrew media on Friday. The Hebrew website 0404 said that the scheme includes the demolition of "unauthorized" buildings in Wadi Ara, near Umm al-Fahm, the Triangle, Jerusalem, and Negev. 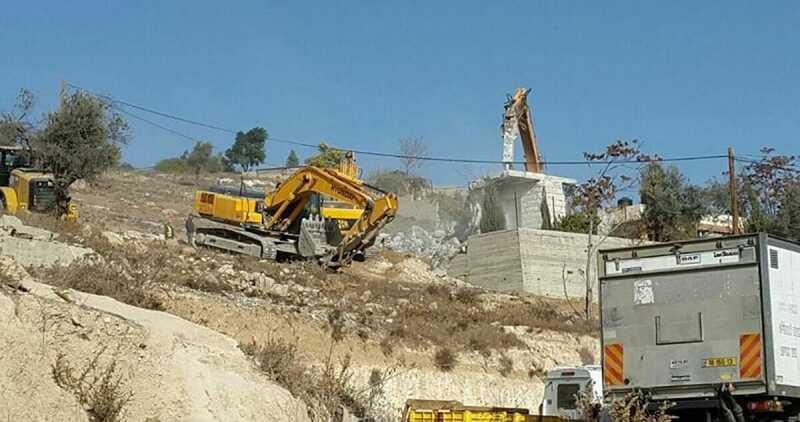 The website added that the scheme provides for the demolition of 47 houses according to the orders of the Israeli Prime Minister Benjamin Netanyahu in an attempt to appease the Israeli settlers since Amona settlement near Ramallah city is going to be evacuated soon. Netanyahu has ordered the acceleration of the demolition process in the 1948 occupied territories and East Jerusalem under the pretext of building without permits. He has ordered the responsible authorities to issue demolition orders for the unauthorized houses and expedite the implementation procedures in the cities of the 1948 occupied Palestine, especially in the Negev and occupied Jerusalem. Israeli officials from the Jerusalem municipality, escorted by Israeli soldiers, raided the neighborhood of Issawiya on Thursday in occupied East Jerusalem and hanged demolition notices on several building. According to local popular committee member Muhammad Abu al-Hummus, Israeli municipality officials raided the area of Habayel al-Arab in the southwestern part of Issawiya, and proceeded to take pictures of the neighborhood and buildings, before they hanged demolition notices on more than six residential buildings. Al-Hummus noted that some of the notices targeted buildings which were built after the owners had been issued Israeli building permits, making the structures “legal” under Jerusalem municipality regulations. He also added that the buildings that had received the demolition orders were built between 10 to 30 years ago, and included more than 20 apartments belonging to residents in the neighborhood. According to al-Hummus, the Israeli municipality has been targeting the neighborhood over recent months in an attempt to “put residents under pressure,” and adding that Israeli authorities deliberately impose various punishments on the residents of Issawiya, such as routinely delivering demolition notices, deploying Israeli forces throughout the neighborhood, and arbitrarily detaining Palestinian youths. He also called upon human rights organizations to visit the neighborhood and meet with its residents to understand the “fierce Israeli [military] campaign” they are facing. A spokesperson for the Jerusalem municipality was not immediately available to comment on the incidents. Though the Israeli Jerusalem municipality has said it receives a disproportionately low number of permit applications from Palestinian communities in East Jerusalem compared to the Jewish population, and that Palestinian applications "see high approval ratings," procedures to apply for Israeli-issued building permits are lengthy, sometimes lasting for several years, while the application costs can reach up to 300,000 shekels ($79,180). As four out of five Palestinians in East Jerusalem live under the poverty line, applying for these permits is nearly impossible. As a result, only 7 percent of Jerusalem building permits go to Palestinian neighborhoods. Demolitions of Palestinian structures and homes in the occupied West Bank and East Jerusalem have seen an unprecedented surge this year, with the number of structures demolished in the first half of 2016 well exceeding the total number of demolitions carried out in all of 2015. At least 1,580 Palestinians have been displaced since the beginning of 2016 -- including 241 in East Jerusalem -- as a result of demolitions in the occupied territory, compared to 757 Palestinians displaced over the entirety of 2015, according to UN documentation.